A small update has been pushed to the PBE, including Warden Karma's load screen slice & a few tweaks for Marauder Olaf. 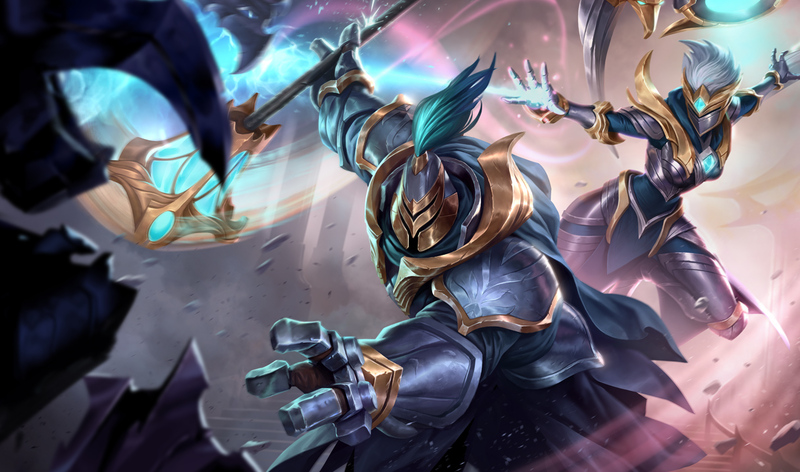 While we've already seen the shared Warden Karma and Jax splash art in an earlier PBE update, Warden Karma's missing load screen slice is now on the PBE. Here's the full splash for reference. 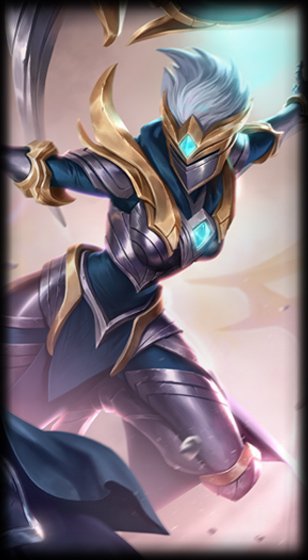 Today's update also includes texture tweaks to a few of the upcoming skins in 5.19. Marauder Olaf skin has received a few tweaks, including increasing the brightness of his armor & red cloth as well as adjusting his belt buckle and his beards & hair color. Warden Karma's appearance with Mantra (R) active has also been touched up, tweaking some of the green on her hair and on the shoulder plates.